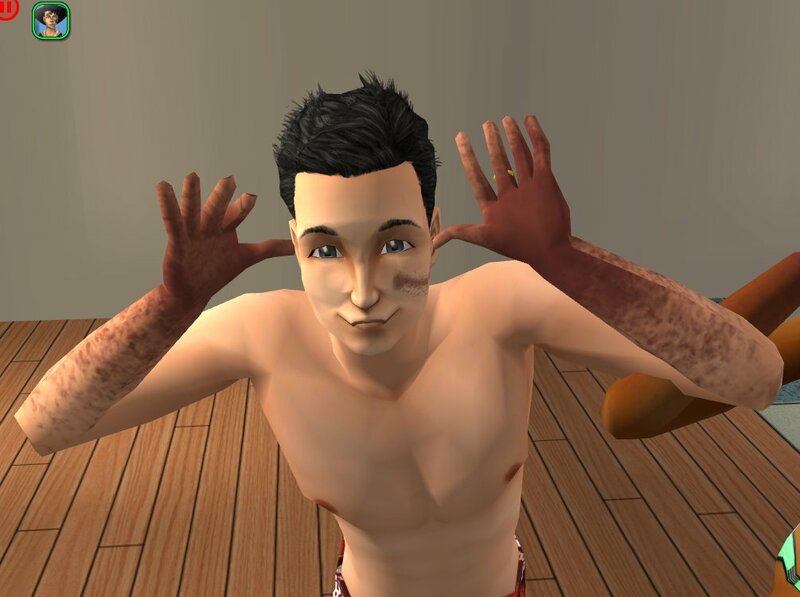 Have you ever dreamed that your sim could get a little dirty while actually making something dirty ? With this, your sim will get some clay on the hands when doing pottery. This was my little contribution to a medieval contest a long time ago on PBK : some Mods (because it was all I could do then, and now too ).. So, I have tested them a lot without any game crashing, and it works for some other people. But the sink mod is still in testing. I'll post a better version of the sink and tub/shower mods later when it will be ready. It's a pottery wheel default replacement mod (not the whole object) and a "Clay" texture overlay. → Using only the mod is ok, but I think it's more realist with the new texture. 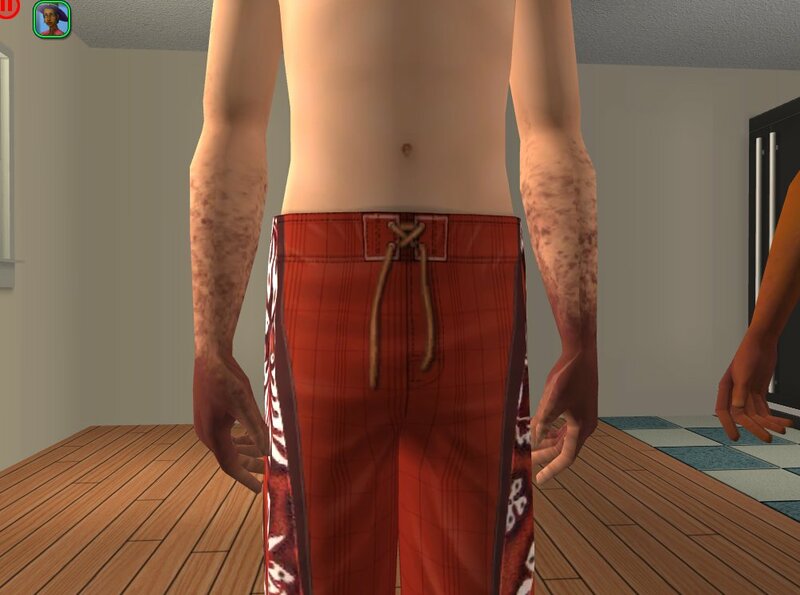 It modifies the way the Free Time object works : actually, it adds an overlay on the skin (like for tattoos, witches or sunburnt), so that the sim get visibly dirty from using the Maxis pottery wheels. It needs the Fractured Moonlight's body overlay box, "A Hard Day's Filth" to get (and get rid of) the dirt. I'm not so good at texturing, it's the reason why I've borrowed thoses textures (with authorization). Don't forget this is a Default Replacement, so it will conflict with any DR of the same object !!! There's 5 BHAV defaults (4 locals defaults and 1 new by me) in the package. You won't be able to remove the dirt by taking a shower because it is an overlay : you need the Fractured Moonlight's body overlay box, "A Hard Day's Filth" to remove the clay overlay. There's a lag the first time the dirt is adding, because it loads the overlay : all overlay boxes do that thing. Afterwards, it's ok. I could only put the overlay action to the very beginning of the interaction (before the sims even touch the clay), but it's not too visible : regards to realism, it was the best I could do. I used an object from FREE TIME, so it's needed ; I have All Expansion Packs, anyway, but I think they're not needed. You need Fractured Moonlight's body overlay box, "A Hard Day's Filth", otherwise, it won't work : the box file and the dirt texture file only (but the other textures are worth it). I've made a bonus : a reduced (hands only) and recolored dirt overlay texture package for it to be more like clay. You can download it to replace Fractured Moonlight's dirt texture package. This is not mandatory for the default to work, but I've taken all the pictures with it. Moreover, it's more realistic than getting your foot and body dirty while fully clothed ! Download the Fractured Moonlight's body overlay box, "A Hard Day's Filth"
I advise you to put both the overlay box and the default in the same folder (in the "downloads" folder of course): for me it's "Get Dirty"
Last, put my texture in the same folder in which you've just deleted a file. I used SimPE and GIMP to make this, of course. Big thanks to Fractured Moonlight for the wonderful work, I'm so inapt to do the same. I've asked for permission and I've got a "yes" ! Thanks to Plumb Bob Keep site, for hosting the original work. 41 people have said thanks to ankoyume for this download.